It was a topsy-turvey day at the Creek de Budds, photos by Simon Cudby. 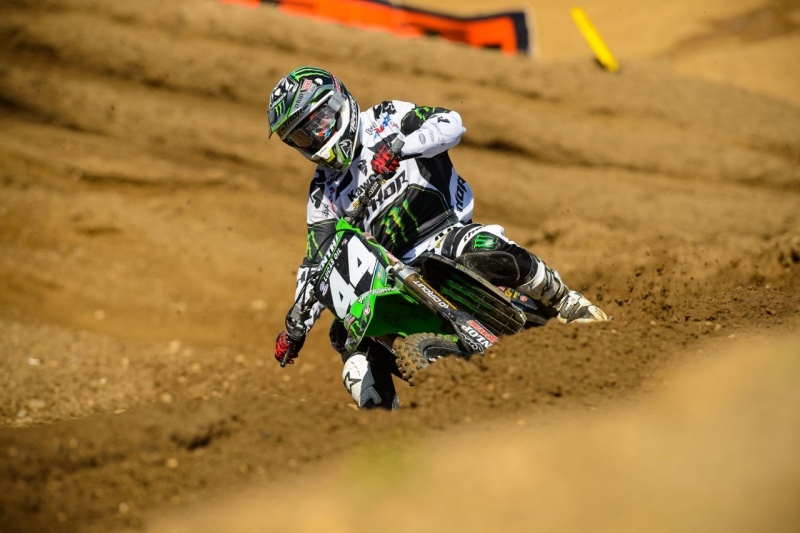 UPPER- Blake Baggett is back! Showing why he wears the number one, Baggett’s first moto was vintage BB as he slowly stalked the leaders and then over halfway in dropped the hammer and squirted into the lead. 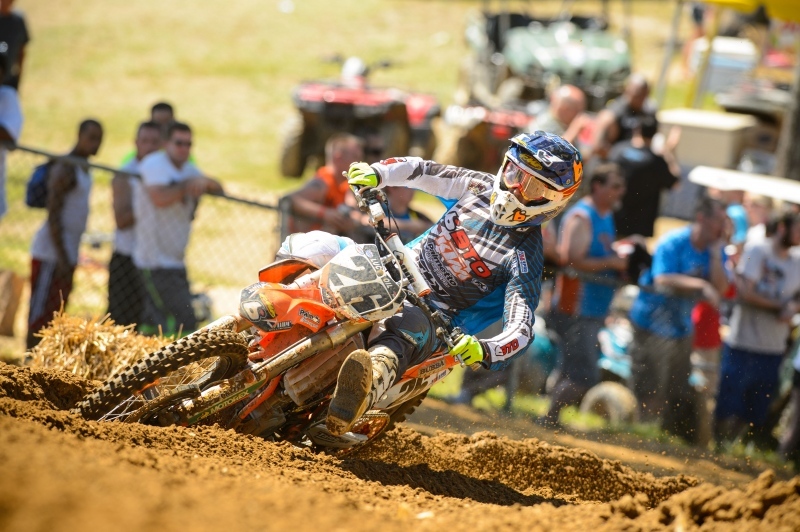 Baggett’s been so-so this season and we have been wondering what was going on with the guy. He insists the wrist is fine but those behind the scenes say it has been an issue with his riding. Well the week off proved to be all that was needed as he looked great and won his first national of the year. Watch out leaders, Blake could be back. 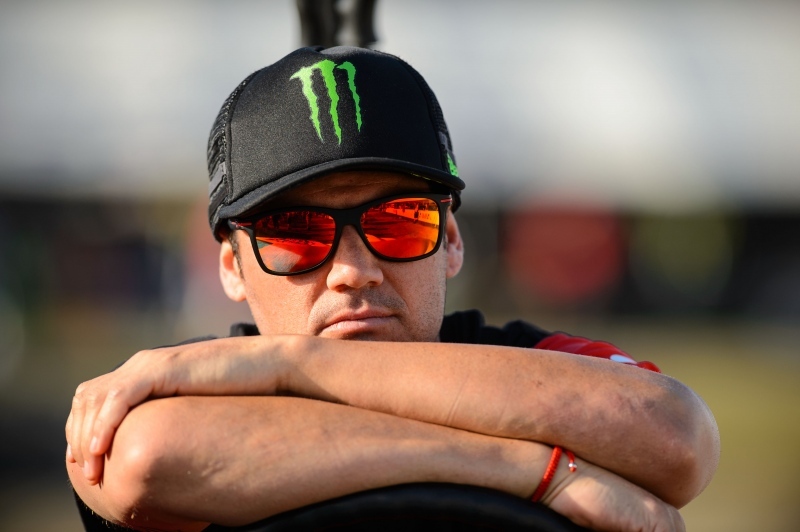 DOWNER- Well Chad Reed’s prediction that he would be better after the break wasn’t correct. The Two-Two’s been bothered by something medical-wise and seemed to think that he’d be better at Budds. Well, he wasn’t. Starting inside the top five in the second moto and fading backward showed us that. So what’s next for the great one? I’m not sure how he gets better without sitting out some races but he needs to keep racing to make money for his team. I’m not sure how he can get better but I’ll never, ever write off Reed. UPPER- What more can you say about Filthy Phil? 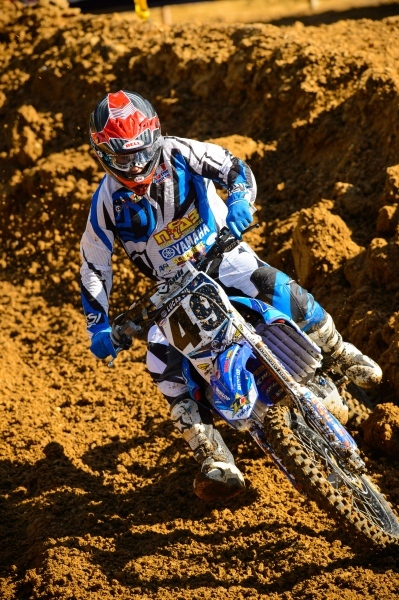 Nicoletti has been great this year even with his bit of inconsistency from moto to moto. First moto he came from 39th to 15th, second moto he was a solid 6th. 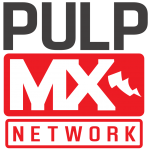 Nicoletti has been the surprise of the 450MX series but as any Pulpmx reader/listener knows, we’ve been telling you Hurrican Phil has been coming for a long time. All aboard the bandwagon, next stop- a factory ride!!! DOWNER- And unfortunately in the downer category is Phil’s teammate Chris Blose. Blose has never been an outdoor warrior and he was making his return to the outdoors after a few years of SX-only deals but through ten motos, he doesn’t have a point. Seriously, this is a guy that once top tenned 450MX races and now he doesn’t even have a point. And not once have I seen him up there with a good start either. He appears to be in shape, you’d think he could just put in 30 minutes of steady laps and get a point or two. But nope, nothing. 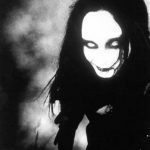 I like Blose, he’s a good guy but I gots to calls it like I sees it and right now, Blose isn’t doing very well. DOWNER- It’s an UPPER (you have to use all caps when referring to the title of this column) when Mike Brown shows up so it’s already a win-win there. 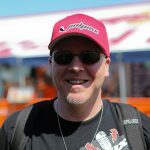 But Brownie let us down this weekend when he DNF’d one moto and got 20th in the other one. Mike Brown is motocross, it’s that simple and he’ll get better but at Budds, he didn’t do what a lot of us thought he could. UPPER- Yeah, the Jet is back! 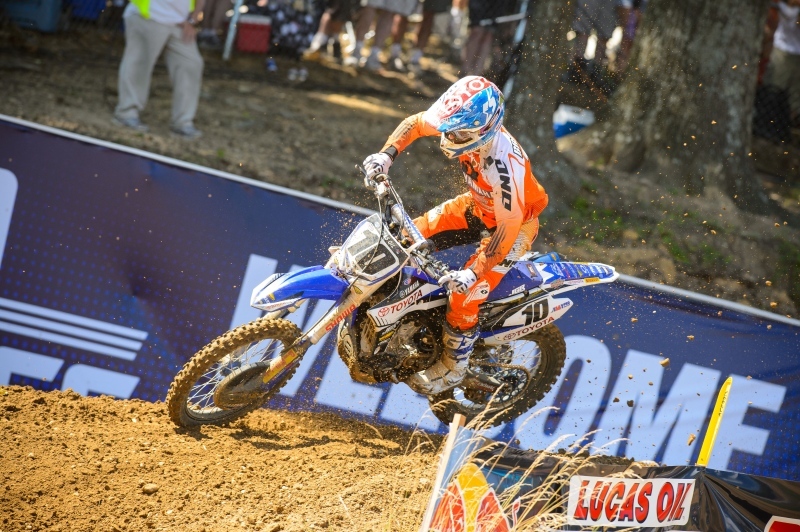 Justin Brayton qualified 7th and went 7-7 on the day for his best, by far, finish of the year. Maybe the difference was the starts, I’m not sure but it appeared all day that Brayton was in battles with different guys. He got passed a bit, passed a few guys back and stayed strong until the end. He’s got to keep this going but it’s nice to see that he does indeed have the ability to get inside the top ten. Big relief for JGR and Justin I’m sure. DOWNER- Michael Byrne’s had a tough season but it doesn’t help when he does put in decent rides and has bike problems both motos. And the same problem at that. 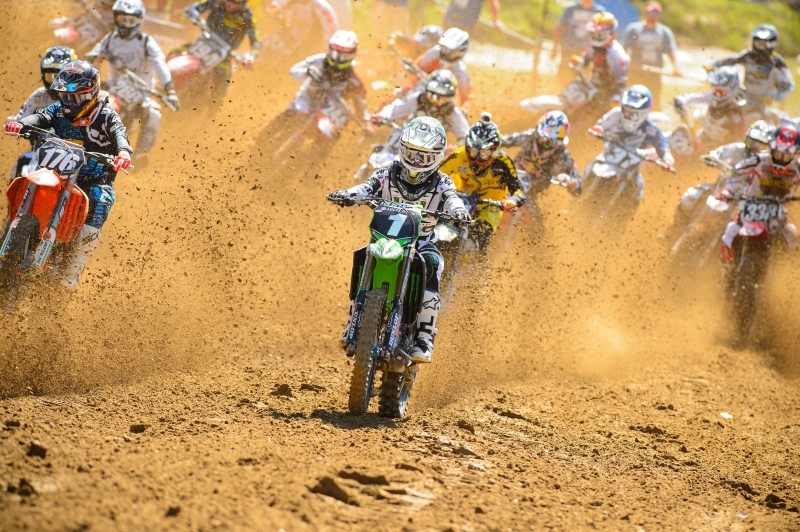 Byrne was inside the top 15 in both motos before dropping out. When you’re trying your hardest to get your magic back and your bike lets you down, it’s a killer. UPPER- MOOKIE FEVER!!! Weird that Malcolm Stewart’s first ever podium indoors or out comes in the 450MX class right? 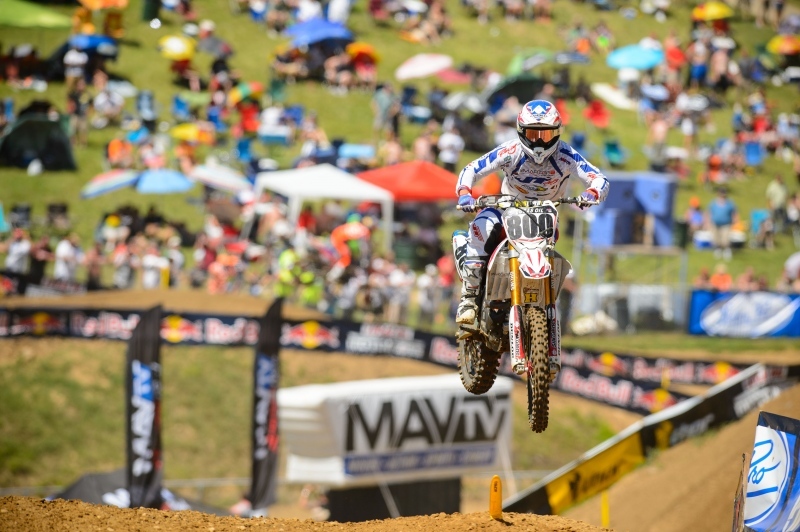 No matter, the TLD Honda rider rode very strong at Budds and caught and passed bog brother James in both motos. Read that last sentence again. He just missed an overall podium by one point as well. The rep on Mookie has always been fast but inconsistent and he’s been somewhat that this year in the 450MX class but he’s still steadier than he’s ever been. I was going to put big bro James in here as a DOWNER but I couldn’t find a word that was worse than DOWNER because saying that James Stewart was a DOWNER was actually better than he was. UPPER- Darryn Durham led the second moto for a long time. His speed and fitness were on point and I was surprised at his ride to be honest. He’s had a rough year and a half or so and it’s always thought that a guy just needs to slowly build back to his old level. Well Durham’s led some races and done well as a privateer on the Eleven-10 team but he was better than ever at Budds this weekend. And of course, he’s still got that awesome riding style. 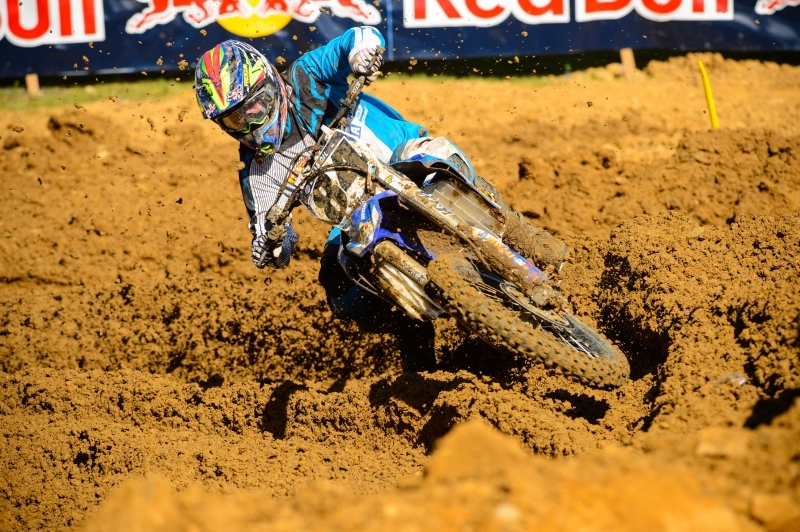 DOWNER- Mike Alessi had an overall podium in the bag but crashed in the second moto while running third. In a sense, DOWNER isn’t entirely accurate, despite the crash it was still a good day for the 800 as he showed a lot of guys on factory bikes his rear fender for a long time and in both motos. Just a bummer he had to go and crash out.